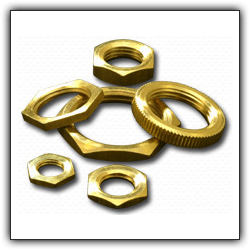 We are the trusted manufacturers and exporters offer wide range of brass fasteners India and customized solutions to our clients at industry leading prices. We always follow client specifications strictly as suggested by them. Our products can be quickly availed in custom dimensions or varied sizes to suit special industry demands. Our products are not only exported in India but overseas too. We employ international quality standards to stay ahead in market. This is our dedication and continuous efforts only that Dodhia Brass is able to establish itself as most trusted brass fasteners exporters in global market. Further, we manufacture our products by adopting modern tools or techniques that gives us competitive advantages over others. Our product has to pass through several quality tests before making any final delivery to clients. √ Our products are always available at highly affordable prices. √ Our product meets durability standards as required by industries. √ Our wide range of products is always considered optimal for varied industries. √ The supreme strength and remarkable performance standards make them more suitable for different industry projects. √ Our products are completely resistant to corrosion and they are easy to install and work with. Our products are always available in custom specifications and sizes as discussed by clients. To know more about our brass fasteners products and to place bulk order with us, contact our expert manufacturing team right away.